They are really really close! I can't choose I love both! They're so similar...I don't think a non-lacquerhead could tell the difference. 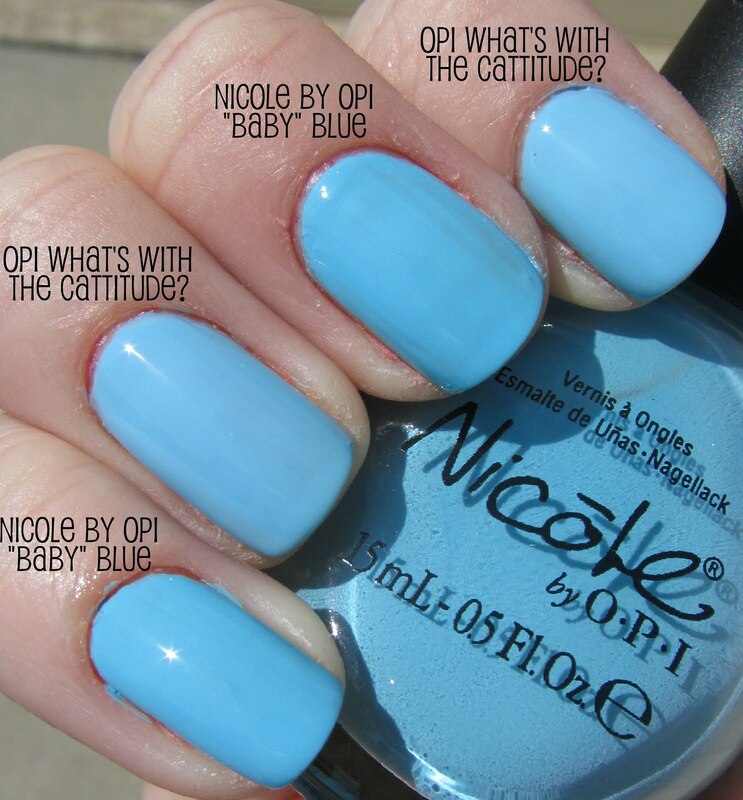 I think I prefer the OPI only because I don't care for Nicole much.